Clark County Public Health is continuing its measles outbreak investigation. Since Jan. 1, we have identified 42 confirmed cases and seven suspect cases. 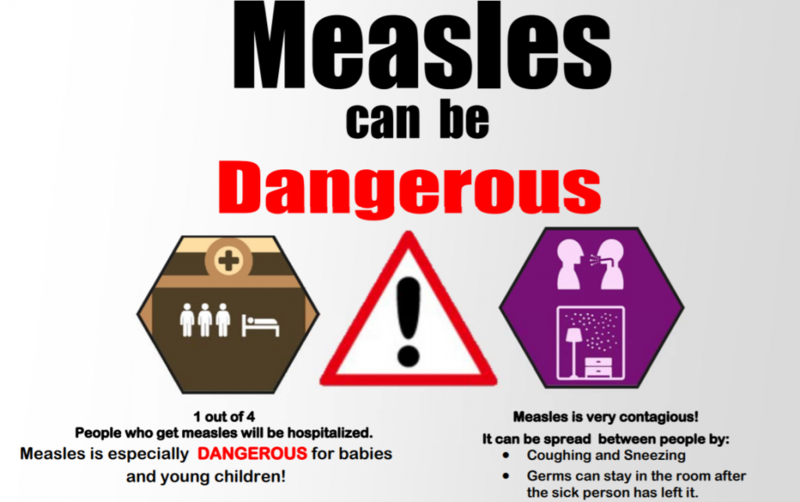 Public Health has not identified any new locations where people may have been exposed to measles. Which North Texas cities were named among anti-vaccine ‘hotspots’ in national study? Collin and Tarrant counties were singled out in a national survey as anti-vaccination “hotspots” for non-medical vaccine exemptions among school-age children. Plano and Fort Worth were specifically mentioned for high exemption rates. A bill supported by some Democrats in the state Legislature’s majority would ban all non-medical exemptions from vaccination requirements for children in New York. measles was eliminated in the U.S, so where is this coming from?